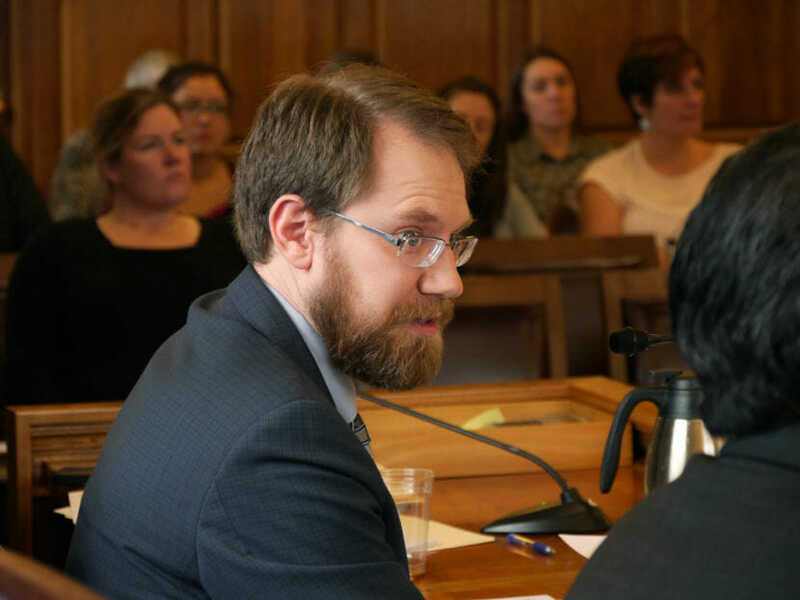 The Alaska House Finance Committee has approved funding four additional lawyers to work in the Public Defender Agency. They approved the money at a meeting on Monday. Alaska Public Defender Quinlan Steiner said that without more lawyers, his agency would turn down cases. Steiner said if judges agree to those attempts, then it would cost the state more to hire private defense attorneys. Steiner said if judges say no, that would lead to substantial delays to resolve cases. Anchorage independent Rep. Jason Grenn sponsored the amendment to provide $1 million to pay for the four lawyers and one support staff member. He noted that public defenders at the agency have too many cases according to state and national standards. The committee voted 7-4 along caucus lines to approve the amendment. Anchorage Republican Rep. Lance Pruitt opposed the added money. He said the agency could better manage its budget. Pruitt proposed firing higher paid lawyers and replacing them with lower cost, less experienced lawyers. But the committee rejected his proposal. Previous articleIditapod: Leaders into Iditarod, where to 24 and snack attack returns!